Leather jackets are pricey clothing items because they are not your one season stand, they tend to live forever and used over and over again. Leather jackets ultimately become your second skin; exist on you as you live in them. As leather jacket makers, William jackets make custom leather jackets ought to fit you like they are sewn on you. 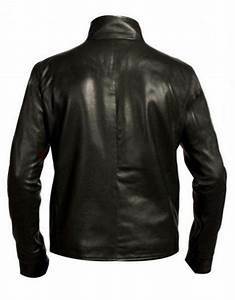 The men leather jacket is stylish leather garb which is constantly famous within the fashion enterprise. Every man desires to wear a today's searching outfit to be able to supply them a clever and fashionable appearance. 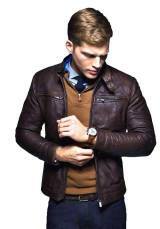 Here is one trendy searching apparel for men that's men leather-based jacket. The leather jacket is crafted from exceptional high-quality lambskin leather with the intention to provide you with elegant look however also shield your skin. If you are a movie lover then how can you forget the Spiderman Homecoming? Spiderman Homecoming is an American superhero based action film which was based on Marvel Comic character Spider-Man. This movie was directed by Jon Watts. This movie was released in July 2017. In this movie, Peter Parker balances his life as an ordinary high school student with his superhero alter-ego Spider-Man and finds himself on the tail of new menace prowling the skies of New York City. In this film, Tom Holland did the rule of Spiderman. He used to wear the black leather jacket with the logo of Spiderman.William jackets introduce Black Leather Jacket Spiderman Venom Logo. Fashion is so critically important in today’s modern world. Everyone desires to look fashionable and stylish in front of different human beings. People buy some elegant outfit to get that elegant and coolest appearance. But sometimes they can’t find that designed outfit. The leather outfit is the first-rate stylish outfit which will always look stylish and classy. This most preferred jacket is Custom stitched, handcrafted and bespoke. This jacket would come in handy when you want to splash on some serious style effortlessly. Treat yourself with a customized black leather jacket with the venom logo of your favorite hero Spiderman. Inside the story of Spiderman Homecoming, a young spider-guy starts to navigate his newfound identification as the internet-slinging superhero Spider-man. Pleased with the aid of his revel in with the Avengers, Peter returns home, wherein he lives along with his aunt May, additionally, beneath the watchful eye of his new mentor Tony Stark. Peter tries to fall back into his regular daily ordinary - distracted by way of thoughts of proving himself to be greater than simply your pleasant community Spider-Man but while the Vulture emerges as a new villain, the entirety that Peter holds maximum important might be threatened.